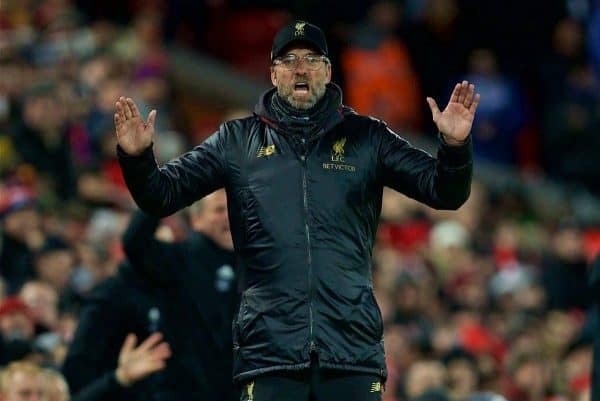 Liverpool’s 1-1 draw with Leicester on Wednesday night saw Jurgen Klopp‘s side struggle to grasp their increasing status as front-runners in the Premier League. You hear of it from time to time. Somebody who has lived in the wilderness for years, only to find an almost unwanted fortune and fame, suddenly occupying the presidential suite of a very expensive hotel. The luxuriously soft bed is all too much for them though, so they instead sleep on the floor. Basically, because it is a much more familiar sensation. This could be a footballing version of it we are encountering. Both for those who are taking to the pitch on behalf of Liverpool and those of us who congregate in the stands. Generously presented with the opportunity to go seven points clear at the top of the Premier League, we are instead five points clear. 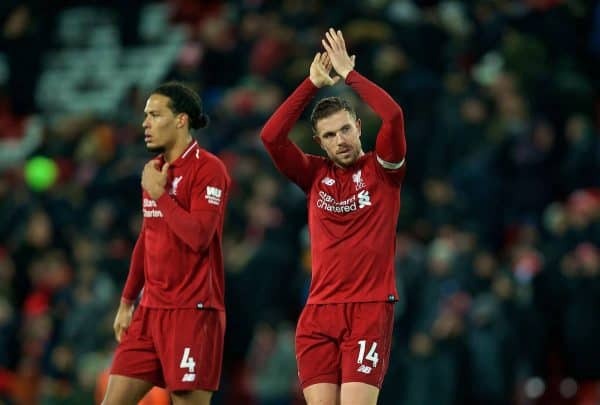 While it was always going to be a concept which was easier said than done, when offered the chance to go nine points clear of Man City, at the beginning of January, we instead ended up four points clear at the time. When I entered Anfield on Wednesday evening, I was struck by what was a near sombre atmosphere. 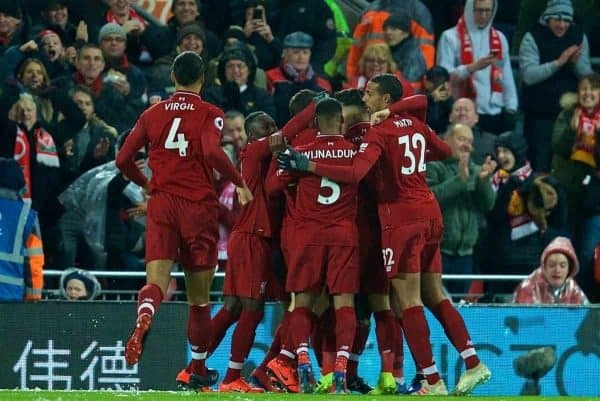 Have we become so accustomed to flying through football by the seat of our pants, that we can’t quite get our heads around the idea of running away with a Premier League title? Maybe it’s all a bit too much for the senses? Leicester City are no soft touch. Yet they feared us during the first 30 minutes. They came with a plan to let us have the ball, and if we weren’t within 30 yards of goal they were happy to protect space, rather than chase the ball. 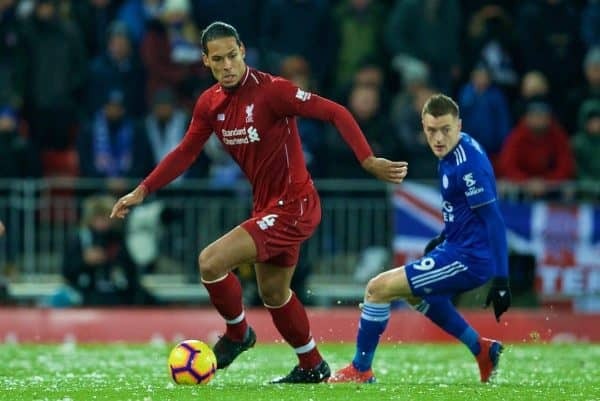 Sadio Mane scored a beautifully worked goal within two minutes, and that should have signalled the end of Claude Puel’s plan A.
Leicester instead stuck rigidly to their plan A.
Liverpool seemed content to pass the ball from one side of the pitch to the other, via sending it back to Virgil van Dijk or Joel Matip, gaining the occasional 10 or 20 yards of distance once every 10 minutes or so. Or at least sat in the Main Stand Upper, in the sub-zero temperatures, that was the way it felt. We massaged Leicester’s confidence and we invited them into the game. We had a surprising lack of urgency, which when combined with a defensively organised opponent made for a frustrating spectacle. After jetting off to a sunnier climate, while other clubs ploughed through the fourth round of the FA Cup, this was a game which smacked of the kind of ‘first day back at work lethargy’ beyond a holiday that I’m sure we are all more than capable of putting in. We conceded a careless equaliser, from a needlessly given away free-kick. A rare mistake by Andy Robertson; Harry Maguire scoring, when he had earlier expected to be sent off. Roberto Firmino produced smart saves from both Kasper Schmeichel and Alisson Becker. 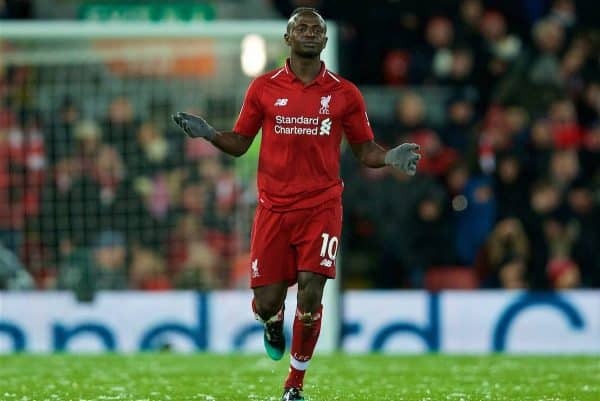 After all the talk of penalties that we shouldn’t have been given, we weren’t awarded one when there were no arguments over the validity: Naby Keita clumsily brought down in full view of the referee. Rafa Benitez had done us a massively good turn 24 hours earlier at St James’ Park. A result which was very much the product of a team which is being stretched in four different directions at once; long may City continue in the cup competitions. We started the week four points clear and we will head into the weekend five points clear. Not as good as seven points, of course, but even the Liverpool of 1987/88 drew at home to the likes of Norwich City, Southampton, Luton Town, a relegation-bound Chelsea, and West Ham. These were the first points we’ve dropped this season to a team which isn’t classed as being a fully paid-up member of the ‘big six’. To West Ham we go on Monday night, a day after City facing Arsenal. February is a month of attrition for City and while they are more than capable of destroying Arsenal, they will still expend a huge amount of physical and mental strength to do so. 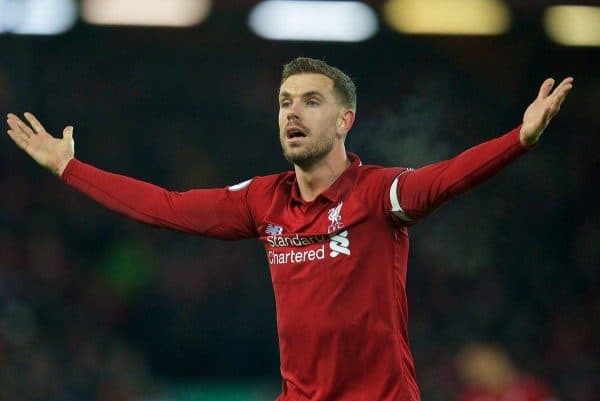 For Liverpool, it is simply a case of focussing on our own lines. By the end of February, we should be looking at being in possession of no less than the current five-point lead we hold; if we do the right things well, we could have a greater lead than the current five points we hold. Yes, we have a trip to Old Trafford upon the horizon, but City are fast approaching an eight-day span where they will face Arsenal, Everton and Chelsea. Even if they win them all, that is a run which will leave them broken physically, heading towards the run-in. It is time for us to be comfortable with being the front-runners; it is time we became accustomed to our surroundings. It is only ourselves who can stop us from here.